Compared to the ambling Looe Valley Line train, the Cornish Main Line express was positively Shinkansen-like in its speed. 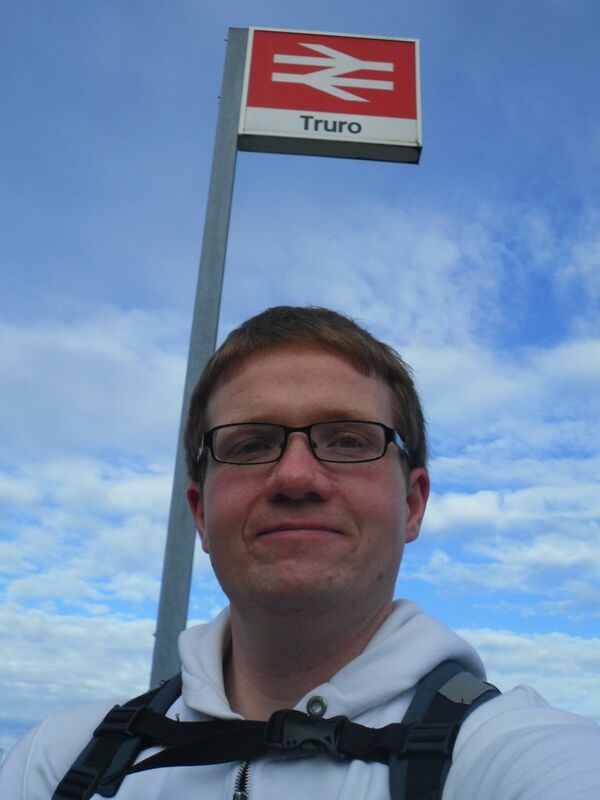 The train was running late due to problems in the Exeter area, but we made up a few minutes and 45 minutes later we were nearing Truro. 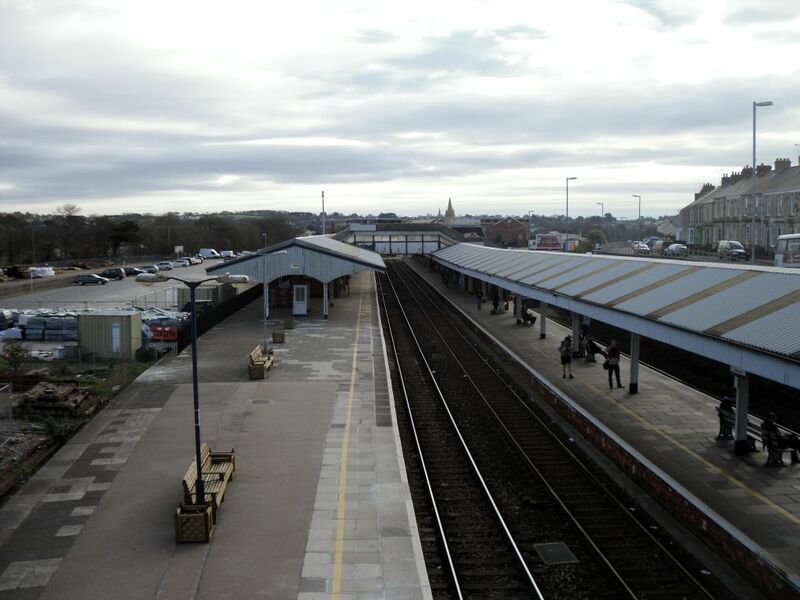 The approach to Truro is great – the line is on a viaduct, giving a bird’s eye view of the town. With houses and roads far below you, it’s almost like you’re on a plane coming into land. 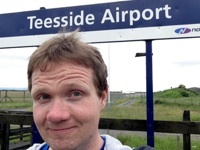 It’s a genuinely impressive sight – so impressive, in fact, that I forgot to take a picture. Oops. 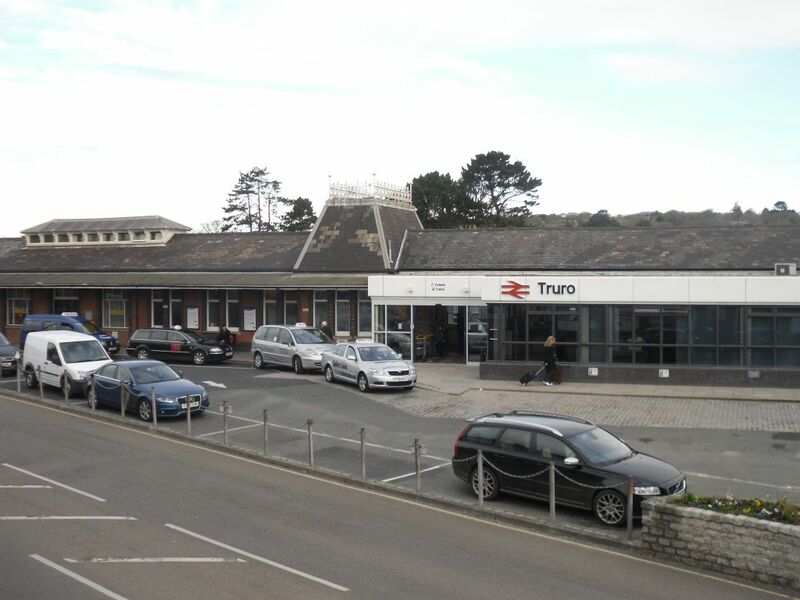 Truro station is fairly standard for an intermediate station on a main line. 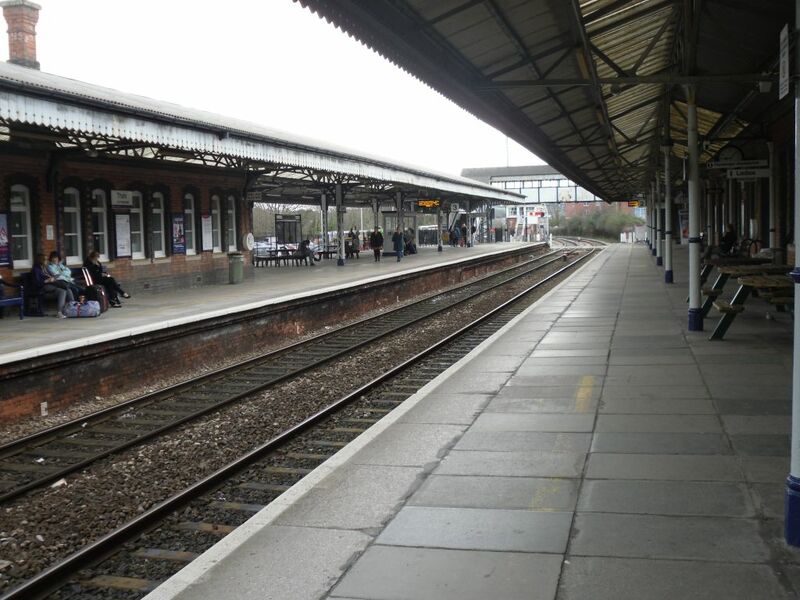 It’s a functional structure, with two through platforms and a single bay platform at the western end of the station, for the branch line services. There’s a full quota of cafés and shops which seemed to be doing good business. The station buildings are a bit of a hodge-podge, with a modern frontage bolted on to something much older. 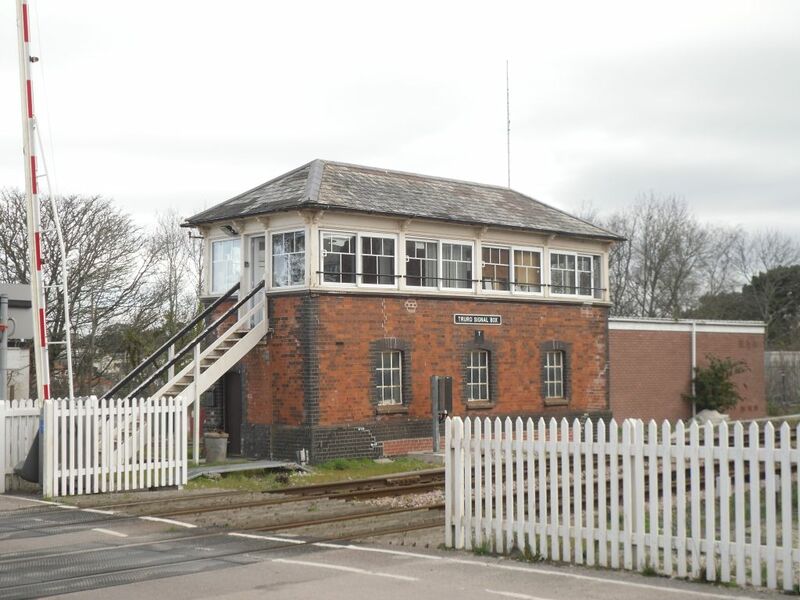 We are still in semaphore signalling territory here, with staff in the signal box keeping an eye not just on train movements, but the adjacent level crossing. The station sign is at the entrance to the car park. There is no pavement between it and the main road, and to get the picture I had to take my life in my hands and stand in the road. I hope you all appreciate the lengths I go to. 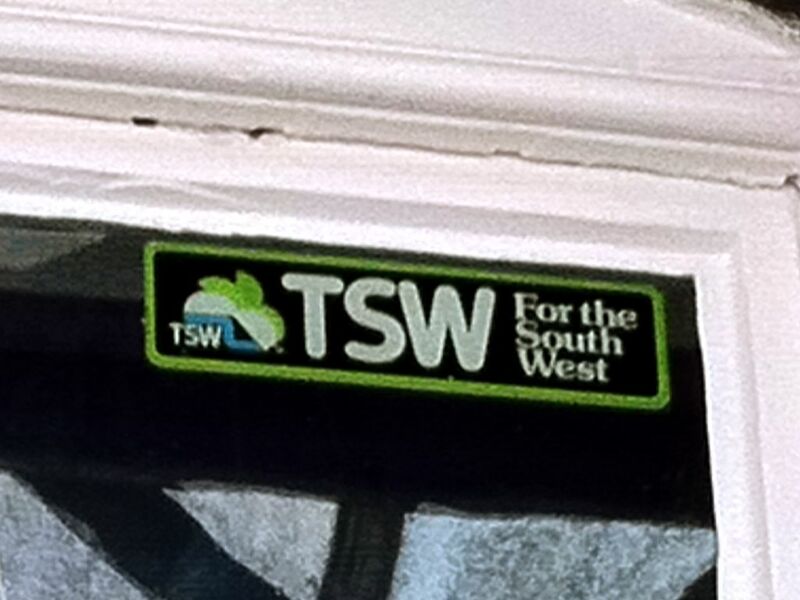 That was it for the station – although when I came back here the next day I did spot this great reminder of times past – a Television South West sticker in one of the windows. The staff at Truro station are not going to let a minor detail like the company losing its ITV franchise in 1992 spoil their fun. What is that logo supposed to symbolise? I left the station, checked into the hotel and then went off to explore a bit. 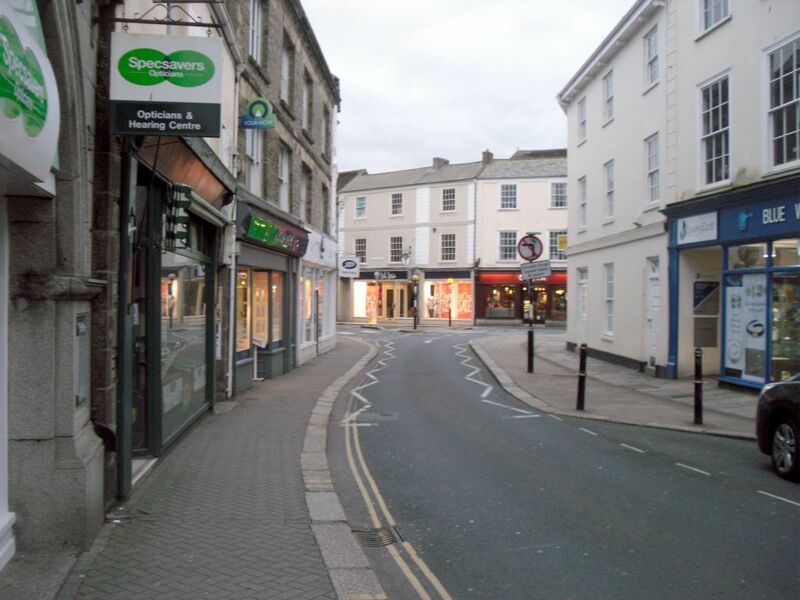 The problem with this plan was that it was nearly 7pm, and Truro seemed to be closing for the night. 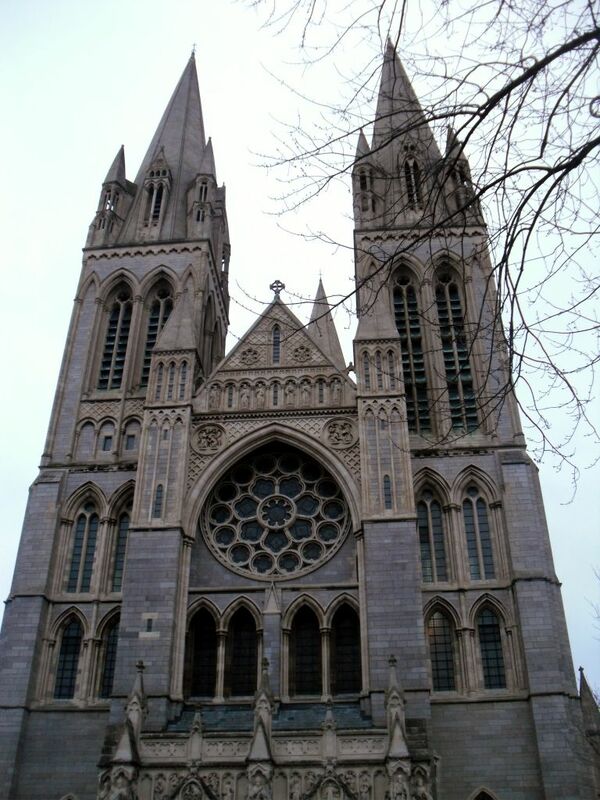 I found Truro cathedral. Well, I say found – it was hard to miss with the way it towered over everything else. Unfortunately it is hemmed in by the surrounding buildings and narrow streets, making it difficult to get a picture. 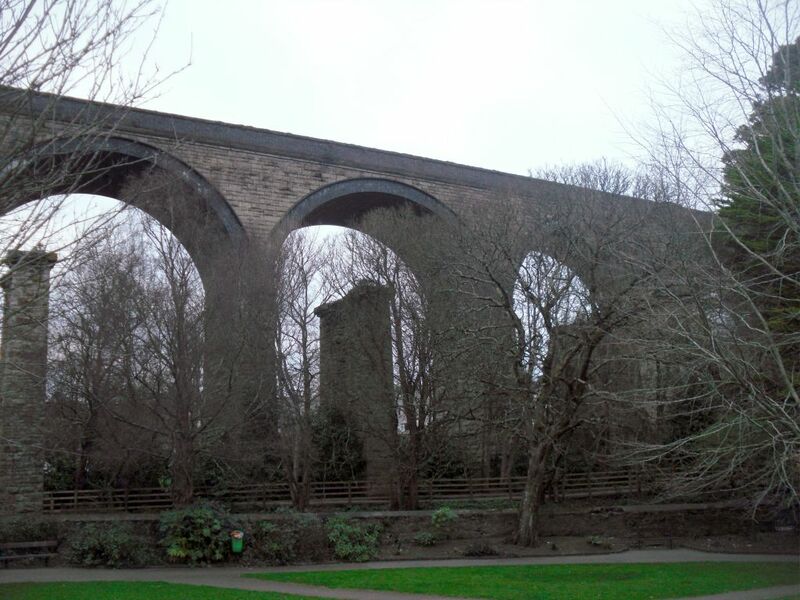 Remember that viaduct I mentioned? Here it is from street level. It’s really big (I still have that knack for description). That was pretty much all Truro had to offer. I did glimpse the town’s only gay bar (QDos) down a side street, but it looked fairly sophisticated and I decided that my mudstained jeans and hoodie combo would not go down well. I traipsed back to my hotel, taking a wrong turn along the way and walking up a long, deserted street that I nicknamed “Murder Alley”. Having successfully avoided becoming the subject of a Crimewatch reconstruction, I settled in for the night in my cosy hotel room. Before long, I succumbed to my exhaustion and feel into a deep sleep. Going into the gay bar would have been very unwise. Those Cornish types, stranded miles away from any other homos, would have scented fresh meat and pounced. You’d have been lucky to come out alive. 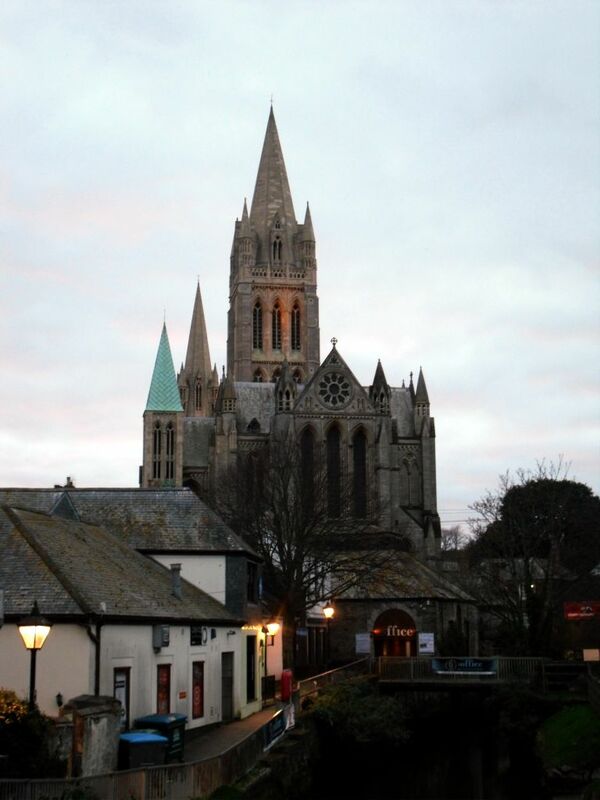 Truro Cathedral looks wonderful – I love the way it towers over the town. Very Medieval. I hope you’re trying (and failing, hard) to be funny. Awesome article. We lived at 9 Bosvean gardens from about 1966-1970. My folks waled to that station to use the phone to call the doctor or do a phone interview for a job in Nova Scotia. They had no phone back then. We left Cornwall for Canada from that station. I went to Bosvigo and that viaduct has many memories for me despite being 6 when we left the UK.